Interior wood doors are naturally beautiful. This is especially true if you are going to choose solid hardwood. Hardwoods have their own unique texture and color, which can be further enhanced if you decide to have them stained or finished. They can also be glazed to make them really smooth and very nice to touch. Let us not forget that these types of doors are all-time classics. In fact, majority of the old homes have interior doors that are made of wood. They may require little maintenance over time but the look is worth the effort. Though hardwoods can be sensitive to moisture, in general, they only need very limited maintenance. Interior wood doors can also resist dents and scratches, and if the surface of the door is properly sealed, you will discover that the door can hold up to lots of banging. Interior wood doors can be customized to find any opening or design. 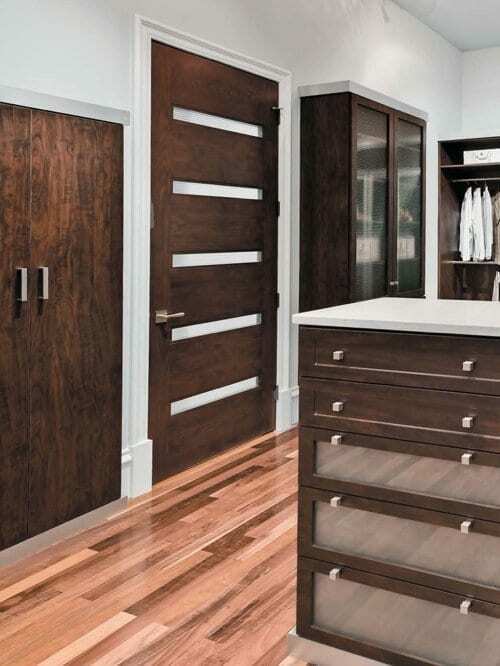 Wood doors are so flexible that you can add a variety of features to them. Interior wood doors can also not be made of solid hardwood. They can also be laminated veneer lumber or made with aluminium cladding.